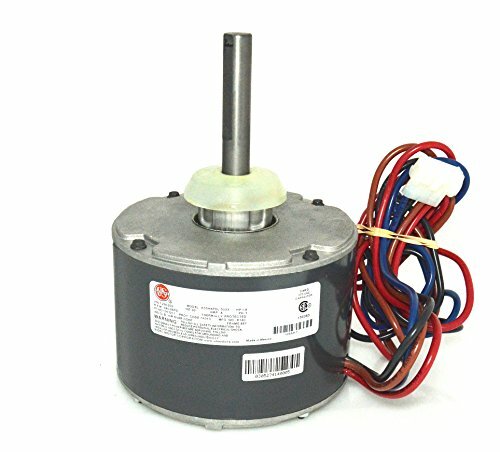 BRAND NEW OEM Emerson ICP/Heil/Tempstar/Comfort Maker 2-Speed Condenser FAN MOTOR. The part # is 1053217 (also HQ1053217EM) and the Emerson part # is K55HXPDL-5033. It's 1/8 HP, 208-230v, 840 RPM. The motor is 5 5/8" in diameter (Frame 48Y). The shaft extends 3.75" out of the motor. The motor has a 4 wires going into a plastic plug- you can use or cut off the plug.